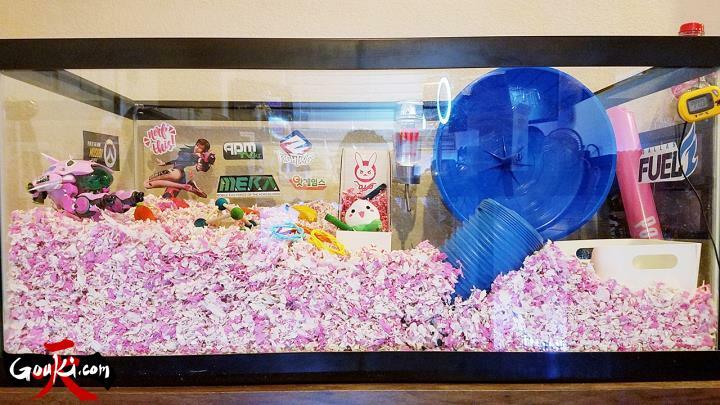 This Overwatch themed hamster tank will amaze you. Platinum level Skeliora is a seasoned Overwatch player with an intense love and passion for the game. On December 17, 2017 she adopted a black Syrian hamster and named her Musubi. Skeliora began to notice that everytime she played Overwatch, Musubi would stare at the screen the entire game, it was evident that she was a huge Overwatch fan too. Being a huge D.Va fan it was natural for Skeliora to want to make Musubi an Overwatch home that would express her love of the character as well as the game. The creation of the D.Va Hamster Home began. 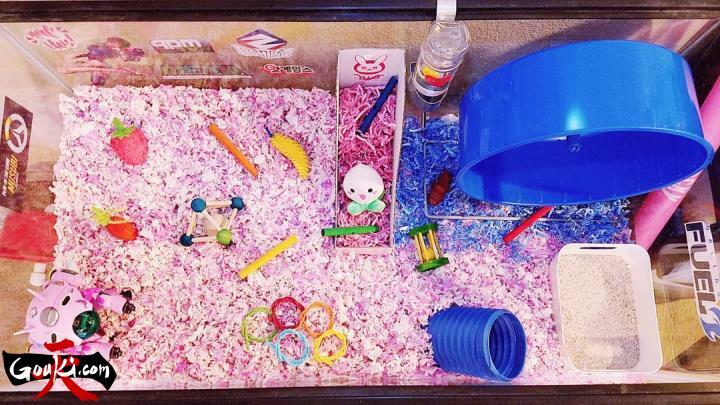 Check out these amazing pictures of Musubi’s Overwatch Home. Isn’t she just the talk of the hamster community rocking this super cool hamster girl tank?